Wow, I can’t believe that I actually have the privilege to be able to put this post on my blog! I would like to thank the wonderful Julie over at JulieHearts for nominating me. Like Julie, I had not previously heard of this award but the thought that somebody actually took my blog into consideration means an awful lot to me. 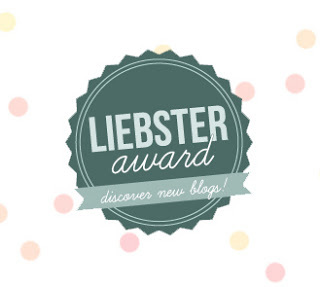 This is an award that gets passed around from blog-blog to help lesser known or new bloggers, gain recognition. Each blogger nominated, nominates 11 other bloggers who have fewer than 200 followers and links that person in their post. The nominated blogger is given 11 questions to answer (asked by the person nominating them) and then must also include 11 facts about themselves. So to sum up; I will answer the 11 questions given to me by Julie and then will ask 11 different questions to the 11 bloggers I nominate. I always loved writing and from a very young age I was always scribbling away my thoughts. My dream job is to be a journalist/writer but I realized a while back that these dreams would not be realized immediately. Still, I didn’t want to wait to wait a day longer to be considered a writer of some sorts. So, between the desire to write and the desire to keep connected with everyone back home, Joyfullantidotes was born! 2. What would your ideal weekend be? Hmm, a tough one. The answer here always changes depending on my mood. I suppose I will go with an old favorite and jet off to New York. I would spend day one doing all the touristy things, although I am not sure if my fear of heights would let me anywhere near the Empire State building. A stroll through Central Park is of course a must and I would end the night at a musical, any musical, on Broadway. The next day I would shop, shop, shop! This is self-explanatory and I would end it all just talking in the buzz of Times Square. Anybody want to buy me some flights? 3. What are your top 3 beauty products?All of my choices here come from Clinique. This brand has never let me down, and with regards to putting product on my actually skin (excluding eye shadow, etc. ), it is the only brand that works on my really sensitive, red skin. While I love all their products, I would list my top three as the Repair Wear foundation, the pore minimizer and the Comforting Cream Cleanser. 4. If you could have one magical power for one day, what would it be? I would love to be able to fly. That feeling of freedom, just taking off and flying over everything, would be exhilarating. Definitely a morning person. I wake every weekday morning at 6am, and 8am on the weekends. I am most productive in the mornings so it would be a shame to waste it in bed. 6. What is your favorite film of all time?How will I answer this one? I don’t think I can. I guess the first movie that pops into my head is Hairspray. I could watch that film over and over again and listen to at least one song from the soundtrack every day. 7. What is your dream holiday destination?A repetitive answer here but I will say New York here again for all the reasons listed above and more! I have never been but it is a dream of mine to go, one which I hope I can realize soon. 8. What is your favorite season and why?I love winter believe it or not. While I do like that summer offer opportunities to do more, I love snuggling up inside during the colder months and my winter wardrobe is perhaps my best. It is also the season of Christmas. Woo hoo! 9. If you could have a dinner party with 5 guests of your choice, who would they be?I won’t go into any sort of explanation here or we would be here all day so here it goes: Emily Dickinson, Vince Vaughan, Johnny Depp, Jennifer Lawrence and Jodi Picoult. 10. What is your favorite perfume/scent? I have none really and just wear anything I get as a present. I guess though if I had to buy a perfume, I would opt for DKNY. 11. If money was no object, what one luxury item would you buy for yourself?A penthouse in New York of course! There has been a certain trend in answering these questions……..
2. I have two Cavalier King Charles back home in Ireland and I think they are the greatest dogs in the world. Their names are Bella and Mona and I can’t wait to give them a big squeeze in June! 3. I have a bit of an obsession with food and am constantly thinking about it. I think about my dinner while eating my breakfast and love hearing about what others eat too! 1. What is the best thing about blogging for you? 2. What was the best holiday you have ever been on? 3. What was it like growing up in your area? 5. Have you any pets? 7. If you could marry anybody, who would it be? 10. What has been your worst beauty disaster? 11. What fashion trend would you like to come back?